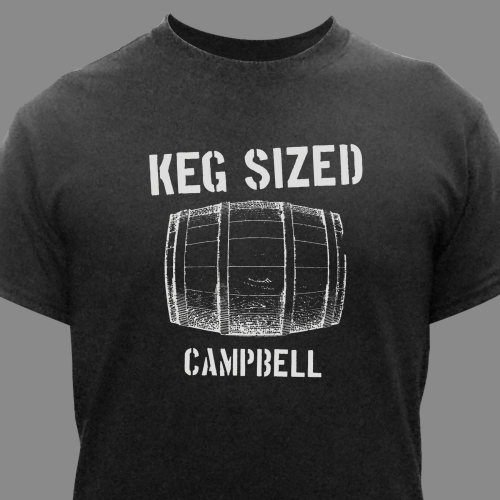 This playful t-shirt lets Dad show his sense of humor along with our Personalized keg sized adult t-shirt. Personalize this t-shirt with any family name. Let this fun apparel set be a classic gift idea for Dad! 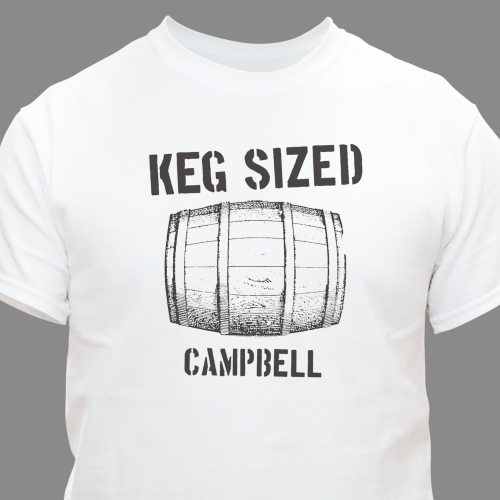 For the matching infant bodysuit (that says "Pint Sized"), simply add this t-shirt to your shopping cart and place your order on the next screen. Cute for personalized Father's Day gifts.